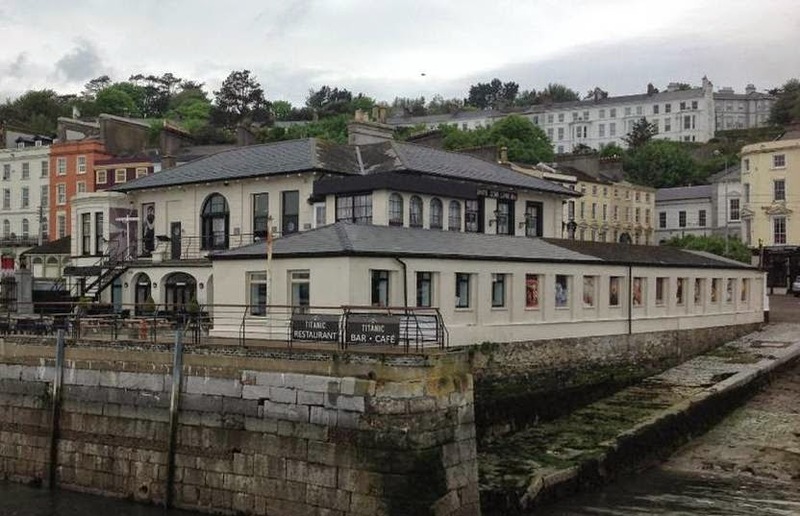 Picturesque little town, we took our lunch at the Titanic Bar and Grill restaurant under the White Star Line building. The food was A-mazing, and we tried an interesting lemonade that was brown in colour. 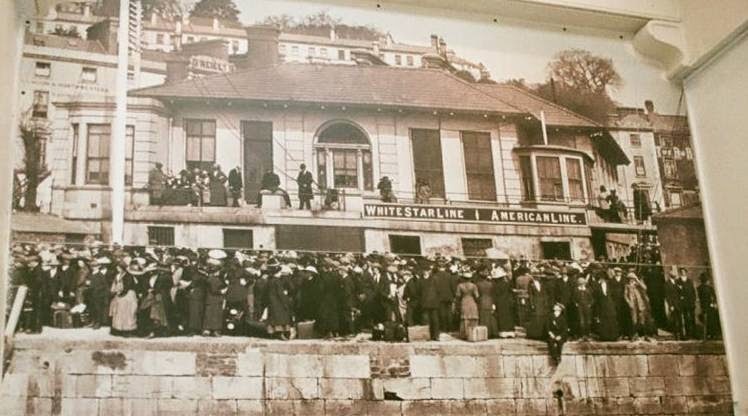 White Star line building today, we stood on the same balcony! We stayed at an amazing B&B in Blarney and travelled around the area visiting lots of attractions most notably Blarney castle where we managed to climb to the top and kiss the Blarney Stone. The headless image below is me actually doing the deed. I am grateful for the grating under the stone, I could imaging one could accidentally slide right through the gap to a squashy fate without them. W and my Hubby also got to visit the Cork University Hospital to have W's permanent cast put on his broken wrist. I think I forgot to mention that two days before we left Australia my son broke his wrist at school. While they did that the rest of the group went to the English Market in Cork. We left Ireland from Cork, but my folks continued to travel around to Northern Ireland before arriving back to Dublin. Where did we go next? The Netherlands! More on that next time.